First Nations Development Institute and the Oneida Nation of Wisconsin are pleased to announce that the national Food Sovereignty Summit will be held September 23-26, 2019, at the Radisson Hotel in Green Bay, Wisconsin. This is the forum for sharing and collaboration to build healthy food systems within our Native communities. Attendees come from tribal communities all over that are actively involved in food sovereignty work, including caring for our land, sustaining food systems, strengthening tribal sovereignty and partnerships between Native nations. Space for the Experiential Learning Sessions is limited and pre-registration is required. 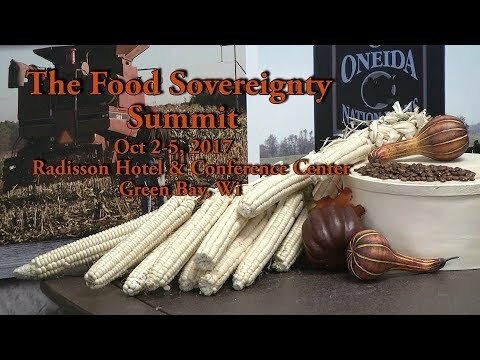 Check out the video from the 2017 Food Summit or click the link below to register. To view the full website and to register, click the link below.